A Pest is defined as a destructive insect that attacks crops, food, livestock, etc. If you have a pest problem and are looking for a pest control company in Land O' Lakes, then you've come to the right place. A pest control problem can quickly spiral out of control. Most homeowners will try DIY pest control solutions before realizing that they have a bigger problem than the do-it-yourself pest control treatments can handle. There are a lot of local pest control companies that you can call, that's why we go above and beyond to make sure we provide you with the most effective pest control treatment, and exceptional customer service in Land O' Lakes. Living in Florida you know that our humid, hot weather is a breeding ground for many different bugs. Florida is home to thousands of different insects. Did you know that spiders, mites, centipedes and ticks, aren't even classified as insects? They are classified as arthropods, land dwelling arthropods to be exact. To us they are bugs, and we don't want these creepy crawly things in our homes. So how do they get here? Because Florida is one of the most popular tourist destinations, with a lot of international and interstate travel, bugs often times arrive as traveling companions to unsuspecting humans. Sometimes they arrive with imported fruits, vegetables, plants and animals from other countries or across country. Bottom line, Florida is paradise for these unwanted guests. So how do we keep these unwanted bugs out of our homes? Pest Control. We offer all natural pest control and standard pest control. We offer annual plans as well as monthly, bi-monthly and quarterly services. The best way to control pests is by having an ongoing pest treatment plan in place. This keeps pests from becoming a problem. ​We offer one-time pest control treatments for your Land O' Lakes home, but the most efficient way to keep your home pest free is with a pest prevention plan. We highly recommend our affordable monthly pest control service to keep your home or business pest free. If you prefer our one time extermination service, our customer service representatives will gladly discuss your options with you when you give us a call at 727-275-1335, or fill you can fill out our convenient form for more information. You'll be pleasantly surprised to find out just how affordable and convenient pest control can be for your home or business. If you have ants, roaches, spiders, mice, squirrels, raccoons or rats in your home or business, we are ready to rid you of these creepy creatures. We have the experience and knowledge to keep you and your family safe while your home or business is being treated. We will work within your schedule to avoid any inconvenience to your schedule. We have several options that are sure to fit within your budget. Call us today for a pest inspection. We'll discuss briefly the variety of pests we treat below, for more information on a specific pest, please click on the picture or go to our service page. Wingless insects that live off of the blood of their host, whether that is your family pet or you, nobody wants these insects in their home. Flea infestations are a big problems here in Florida, once again, because of our warm, humid weather. Due to a a flea's life cycle, they can be very difficult to eliminate. There are four stages in a flea's life cycle: egg, larvae, pupae, adult. Flea eggs take between 10 and 21 days to hatch. Flea eggs fall off of the host they are laid on landing in your carpeting, bedding, furniture, and other areas of your home. Do-it-yourself flea treatments may seem like a quick solution, but due to the life cycle of fleas you may find yourself fighting a losing battle. 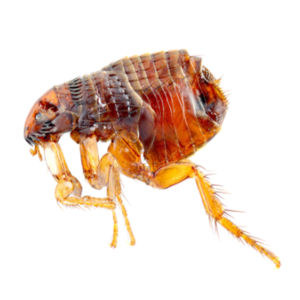 If you have fleas in your home, don't hesitate to call us today. Bed Bugs are making a comeback. 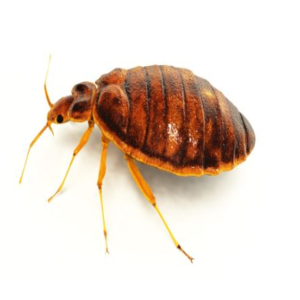 Over the past twenty years or so we've seen a significant increase in bed bug cases. Once thought to be declining they have come back with a vengeance. It is very easy to become a victim of these insects. You can unknowingly pick them up on a family vacation, a business trip, or visit to a family members home. Bed bugs are very hard to remove, and not something we recommend using DIY treatments to try and resolve on your own. We offer the most effective bed bug treatment available so there is no need to put up with bed bed bites, or try bed bug sprays to get rid of bed bugs fast. Call us for bed bug removal today. Cockroaches, roaches, Palmetto bugs, whatever you call them they are gross! Roaches will make themselves at home in your home, multiply and spread quickly. They love to eat your food, books, and even electronics. One of their favorite places to make themselves at home is in your clothes closet. You may wonder how to get rid of palmetto bugs for good, or what attracts palmetto bugs in the first place. You may find yourself googling "how to get rid of cockroaches home remedies" or "how do you get rid of roaches fast?" 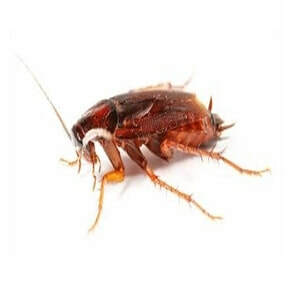 or "roach exterminator near me" don't worry, we can answers all of these questions for you, call us at 727-275-1335, today for cockroach extermination. Mice, rats, raccoons and squirrels will try to sneak into your home looking for a safe place to nest, for food, for water and most of all warmth. In the process of making house in your house they unwittingly can cause damage to your home. You may hear scratching noise in the attic at night, or noises in the attic in the early morning. It's hard to what kind of animal is in your attic without climbing up in there which you probably don't want to do because your new house guest probably won't be happy to see you. Call us today at 727-275-1335 to ask about our attic pest removal service. 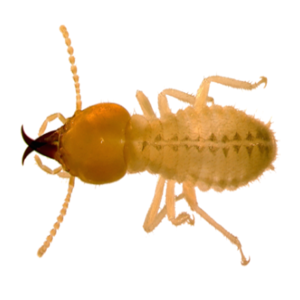 Termites cause billions of dollars of damage to homes across the United States every year. Sadly, termites usually cause damage to your home for quite some time before you notice that they have been gnawing away at your house. If you suspect you may have termites in your home, we can complete a WDO or wood destroying organism home inspection to determine the extent of the damage, and discuss with you the best treatment options available. Call us today for your pest inspections. That all too familiar red hot burning sting of a fire ant! A fire ant only bites you to grab on to you so that they can sting you! It's the fire ant's sting that causes that undeniable burning, itching sensation when they release their venom, not their bite. Regardless, they are quite a problem here in Florida. You may ask yourself how to get rid of fire ant nests in the lawn or how to get rid of fire ants with home remedies. Once again, we recommend calling us to get rid of fire ants in your lawn, or home. Fire ants are nasty buggers that you really don't want to try to get rid of with home remedies. Why are there so many spiders in my house? Suddenly there are lots of spiders in my house. Sound familiar? You may ask how to get rid of spiders in my house. There are many spider control products, some sprays kill spiders instantly, other are spider insecticides. All of them have one thing in common they are used to kill spiders. While most spiders are harmless, and actually help eliminate other insects inside your home they are pretty scary to see. However, there are five poisonous spiders you definitely don't want to see in your home: the southern black widow, the brown widow, the red widow, the northern black widow, and of course the brown recluse. 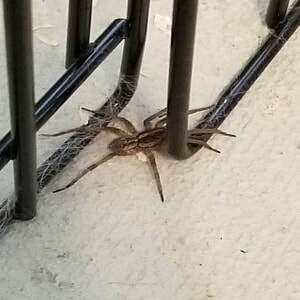 If you have spiders in your house it's probably best to call us at 727-275-1335 instead of trying to get rid of the spiders with a DIY or home remedy. I noticed a rat. Then two months later, I saw cockroaches coming out from under my refrigerator. You can imagine my devastation. I called this team of experts, and I've not had a problem since. The rats are gone and the roaches are gone! I was feeling really down on my luck, but this company restored my faith. I’m happier than ever!”—Doug K.
“I don’t know what I would do without this company. I had an issue with sugar ants in my home for some time. They were everywhere! . When I first noticed the sugar ants within my home, I totally freaked out. This company not only got rid of the ants within my home but they identified the source of the infestation as well. Thank you Pest Control Land O' Lakes! If you need a pest control company in Pasco County call Phillip! ”—Serenity J. Give us a call today or submit our online form for a pest control home inspection. We can handle all of your pest control issues. We offer fast and friendly service, sure to meet your needs within your budget. At Pest Control Land O' Lakes we provide pest control and termite treatment for every budget. We're your professional pest control company near me! 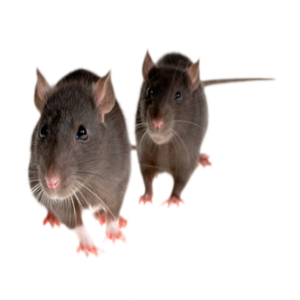 We are more than exterminators, we are your go to source when it comes to pest control. We offer commercial and residential pest control in Land O' Lakes, Wesley Chapel, Hudson, New Port Richey, Port Richey, and all of Pasco County. 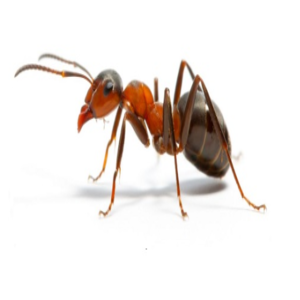 Whether you have fire ants, sugar ants, carpenter ants, mice, rats, raccoons, squirrels, termites, spiders, silverfish, fleas, ticks, bed bugs, scorpions, mosquitoes and more (are there really more?) we've got you covered.